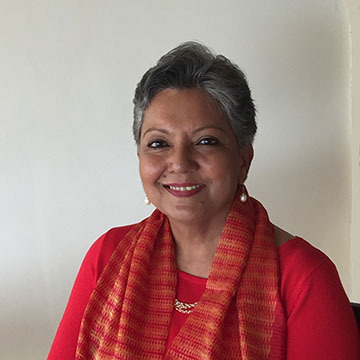 Srilatha Batliwala is Director, Knowledge Building and Feminist Leadership with CREA (Creating Resources for Empowerment in Action), an international organisation that works at the intersection of gender, sexuality and human rights. Her current work focuses on capacity building and mentoring of young women activists in the Global South, and on building new knowledge from practice, especially in the areas of women’s rights and transformative leadership. Earlier, Srilatha worked in AWID (Assn for Women's Rights in Development) 2008 - 2016, Harvard University (2000 – 2007), and the Ford Foundation (1997-2000). Through the past four decades, Srilatha’s work has bridged practice and theory, spanning grassroots activism, advocacy, teaching, research, training, grant-making and scholarly work. She has published extensively on a range of women’s issues, and is best known for her work on women’s empowerment. Her most recent publication is a collection of her writings, “Engaging with Empowerment – An Intellectual and Experiential Journey” (Women Unlimited, 2014, and eBook version 2015). She also serves on the boards of a number of international and Indian human rights, women’s rights and development organisations. The relationship between business and women’s rights activists and advocates has always been contentious, and more frequently, rife with suspicion and hostility, especially in the global South. This is not, unfortunately, without reason.